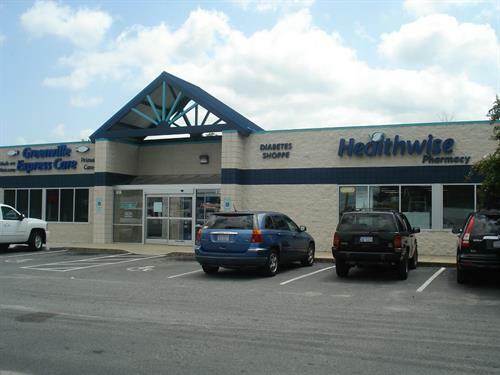 Healthwise Pharmacy is accredited by ACHC and is located beside of Greenville Express Care on Memorial Drive. We offer a wide array of services including but not limited to Retail Pharmacy, Infusion Therapy, Compounding Lab, Pharmaceutical Grade Products, Biliblankets, Masectomy, Ostomy, Nutritional Supplements, Diabetic Supplies including Shoes and we are a Full Home Medical Equipment Provider. Healthwise offers free delivery of medications within a 45 mile radius (ask an associate for details). Located on Memorial Drive near W 5th Street intersection.